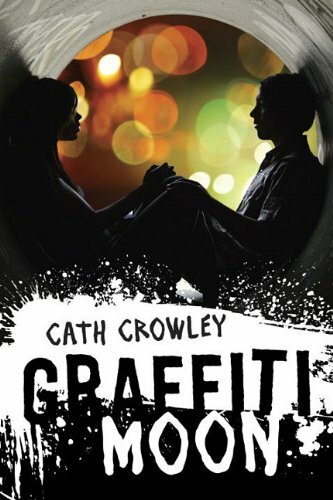 Summary (from the inside flap of the book): Senior year is over, and Lucy has the perfect way to celebrate: tonight she's going to find Shadow, the mysterious graffiti artist whose work appears all over the city. Somewhere in the glassy darkness, he's out there, spraying color, spraying birds and blue sky on the night. And Lucy knows that a guy who paints like Shadow is someone she could fall for--really fall for. The last person Lucy wants to spend the night with is Ed, the guy she's managed to avoid since punching him in the nose on the most awkward date of her life. But when Ed tells Lucy he knows where to find Shadow, the two of them are suddenly on an all-night search to places where Shadow's pieces of heartbreak and escape echo off the city walls. And what Lucy can't see is the one thing that's right before her eyes. Review: I enjoyed this book even more than I thought I would, which is so refreshing. It's set in Australia, but there isn't any language that will confuse Americans and the themes are universal. It takes place over one night as 6 friends find themselves, each other, and discover secrets. The characters are real and very likable; I enjoyed reading about their adventure and seeing their friendships unfold as the night went on. The three girls: Daisy, Jazz, and Lucy are out for adventure to celebrate graduating from high school. Emphasis is not put on what they are going to do with their lives, but we do hear about Lucy's plans as she narrates almost half the story. She is bright, interesting, an artist, and has really interesting takes on situations. The three boys: Ed (Shadow), Leo (poet), and Dylan are out to have fun and earn some money when they meet up with the girls. Leo's narration is a small portion of the story, but is told through his short poems, which I really liked. They would be great at a poetry slam! Ed narrates the rest of the story since he and Lucy are sharing this night of discovery.